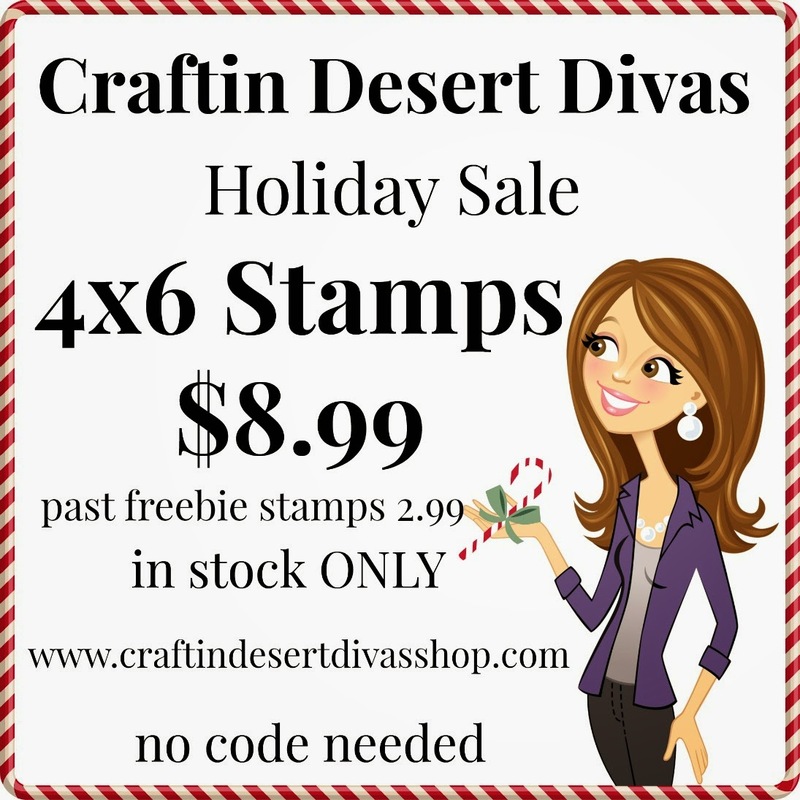 This is Sukie and I have a fun project to share using the newly released Tag It and Get Your Jingle On stamp sets. 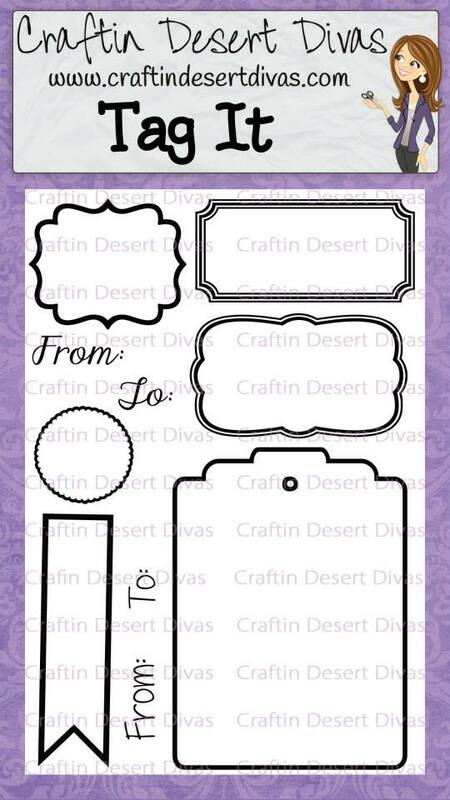 The Tag It stamp set is so versatile and can be used on just about any project and both sets are perfect for those Holiday crafts. 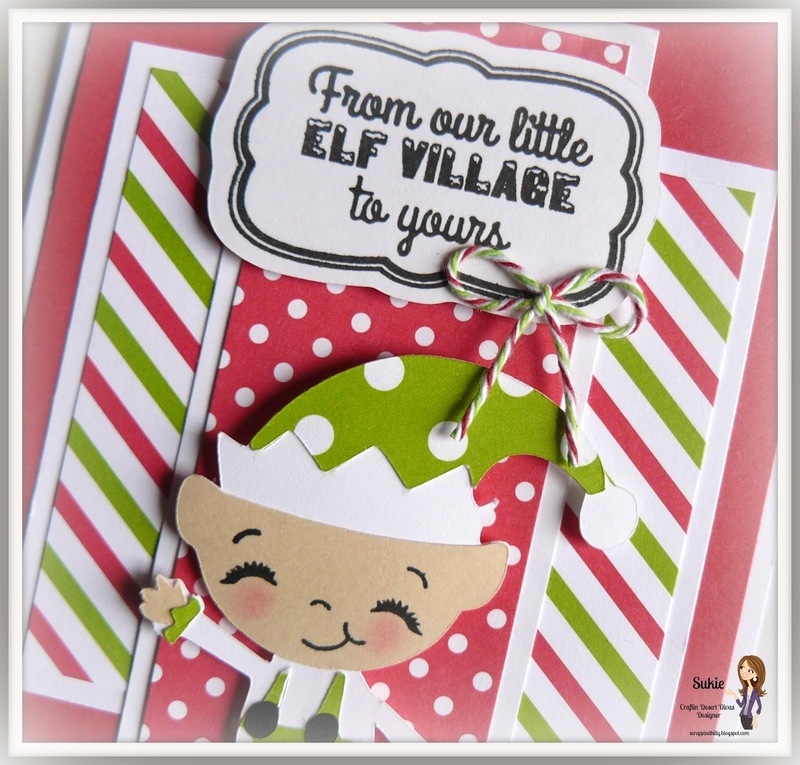 For my project, I created a cute little elf card. The elf was cut from the Jolly Holidays cartridge and stamped with a Peachy Keen face stamp. I popped up the sentiment tag which was created from the newly released Tag It stamp and SVG set. 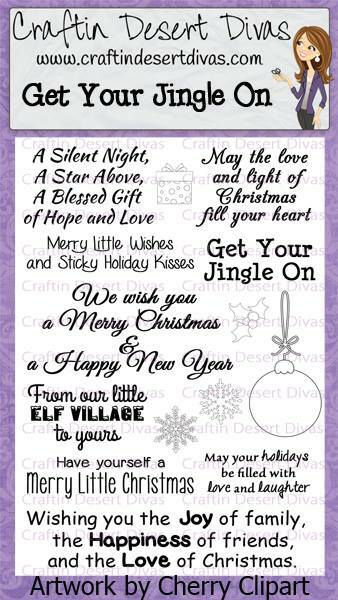 The sentiment is from the Get Your Jingle On stamp set. A small twine bow in Christmas Mint Trendy Twine was the perfect finishing touch for my card. Here's a closer look at the two stamp sets I used, you can purchase the sets here along with the rest of the November release. Your Elf card is adorable! Your pattern papers are so fun and love the layering! The face is one of my favorites! 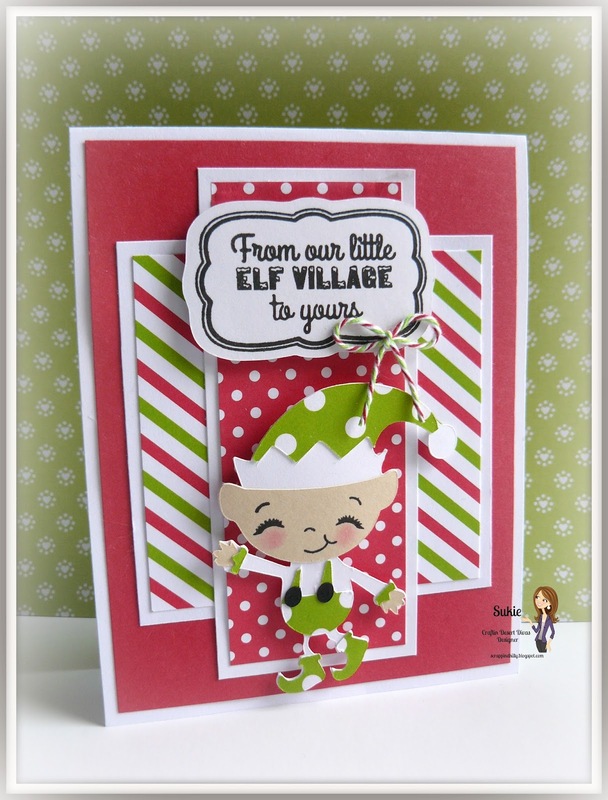 Adorable elf and fabulous card!